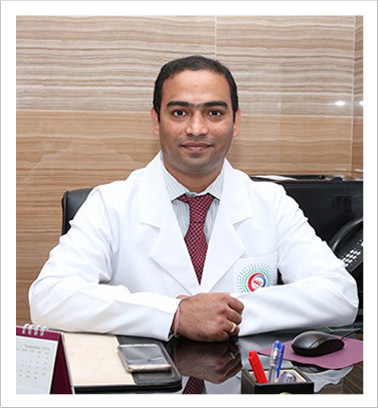 He has attained his MBBS from Sri Venkata Sai Medical College near Hydrabad in 2006 and completed his Post Graduation MD ­Radio diagnosis in 2011 from Manipal Hospital Bangalore. He has more than 7 years of experience that has been exercised at DBR Diagnostics, Hydrabad and Little Flower Hospital Angamaly, Ernakulam. He has Professional membership in IRIA- Indian Radiology and Imaging Association and has also cleared FRCR- Part A.
SONOMAMMOGRAM, SCROTUM, MUSCULOSKELETAL & TVS. DOPPLER: CAROTID DOPPLER, ARTERIAL & VENOUS DOPPLER (UPPER, LOWER LIMBS), SCROTUM & ABDOMINAL DOPPLER.